Often times, you might wish to send the same preset drill to more than one student at a time. Here’s how you can do just that. 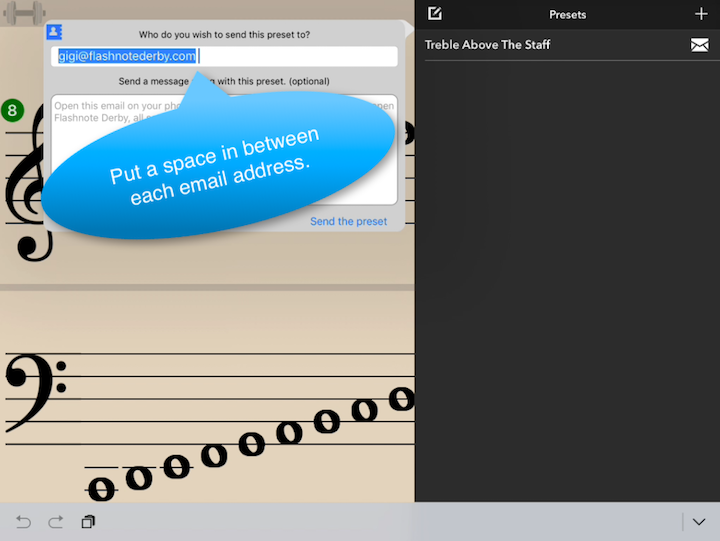 Next to the the name of the preset you wish to send, tap the mail icon. Type the e-mail address of the first student you wish to send this drill and then add a space. Continue adding as many additional e-mail addresses as you like. Separate them all with a space. Remember You must have a teacher account set up before you can send presets to students.